ALPHA-CAT offers a mobile, simple, affordable and efficient way to test a cannabis product and measure the potency of cannabinoids. Everyone can use ALPHA-CAT : no scientific background or specific knowledge is required for correct analysis and results. ALPHA-CAT creates testing laboratories in Europe to provide high quality and accurate cannabis potency testing and safety screening for the medicinal cannabis community. Alpha-CAT has created a quality certification standard for cannabis products and assists dispensaries, cooperatives, collectives and growers from all over the world. Rigor and patience have been put in order to offer you the best of cannabinoids through a range of products of very high quality. For more than 10 years, we have been working hand in hand with the pioneers of CBD and other legal cannabinoids in Europe. Our extractions come from European hemp and are guaranteed without traces of THC, pesticides, heavy metals or other harmful pollutants to your health. Once harvested, hemp is carefully selected following a strict protocol to ensure production standards and ensure consistent rates of cannabinoids (CBD and CBG). To guarantee homogeneous, stable and qualitative oils, we use only natural products made from 100% healthy plants. In addition to our premium quality extractions, we use a Provencal organic olive oil naturally rich in Omega 3 in order to preserve the benefits of our molecules. CBD-enriched hemp oil cosmetics contain Omega 3,6,9, gamma-linoleic acids and amino acids, each of which has a strong impact on the quality and texture of the skin. We have come up with a unique recipe with over 300 natural terpenes to help you enjoy the true taste of the famous Jack Herer. The purest form of CBD. Our CBD extractions are crystallized in our laboratories to ensure their purity (99.5%). Sébastien Beguerie, Founder and CEO of Alpha-CAT Lab in Prague, Czech Republic. He holds a master’s degree in Plant Science with a major in plant physiology and medical Cannabis. 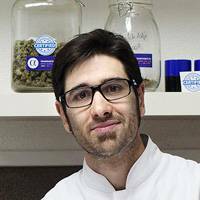 Sébastien has performed hundreds of controlled laboratory tests on Cannabis and worked with the leading medical Cannabis companies and expert in the world like Prof Raphael Mechoulam. He is a medical cannabis scientist expert and activist with 10 years of experience in cannabis production optimisation, quality control and education. Born in Marseille, France, in 2009 he was sponsored by Bedrocan BV to study at Wageningen University Research (WUR), in the Netherlands where he obtained his Master degree in Plant Sciences. In parallel, he co-founded the national medical Cannabis French patient association called “l’Union Francophone pour les Cannabinoids en Médecine, I care”; “UFCM I care”. Together with his association, he has been organizing in Strasbourg (France) every year since 2012 an international medical Cannabis conference. In 2011 he founded is company Alpha-CAT Lab in Europe specialized in making and providing cannabinoid test kit worldwide from Latin America, Canada, Jamaica, Australia, up to Japan. Alpha-CAT test kit offer a tool to patient, physicians and pharmacists to know better Cannabinoid based medicine. Plus in this new emerging Cannabis industry, Alpha-CAT has been a recognized standard helping small/medium/large size businesses to ensure Cannabis quality control standards in the new Cannabis paradigm shift. ALPHA-CAT’s research team is looking forward to assisting you with scientific and technical support regarding questions and scientific projects for cannabinoid-based medicine. For any questions about ALPHA-CAT please feel free to contact us! I have had colon cancer surgically removed. There is now no detectable cancer but there could be some colon cancer cells in the blood. Do you make any suitable medicine to eliminate them or inhibit there growth? Alternatively, do you know of another source? We do not provide medical advice and/or sell medicines, only CBD food supplements. Until now, there are no clinical studies that can prove that CBD can help treat or heal cancer. Some studies on mouse model or stem cells have been conducted and it appears that cannabinoids can induce apoptosis in cancer cells but the field suffer a lack of clinical studies to go further. Nonetheless, the Cancer Institute of the United States recommends for example to use CBD during traditional therapies like chemotherapy to helps relieve and deal with the side effects. Having looked around the internet and having seen your page with CBD:THC ratios, it seems that for severe chronic pain the best ratio of CBD and THC is 1:1 and also provides a fuller spectrum of compounds from both the hemp and marijuana plant. the question is how do you get hold of a product with this ratio as it appears to be illegal in the UK? My Mum has chronic artritic pain. Actually THC is not allow in UK. hi can you tell me where i can send my thc oil to be checked for potency i am in the uk. My wifes cancer is now in the lung and stomach she has been taking it for 1 year. Sorry we dont do testing, but you can pruchase our test kit. I would love to discuss what high times, culture, and dope magazine can do for Alpha -Cat. Whom should I connect with regarding events and mixed media?